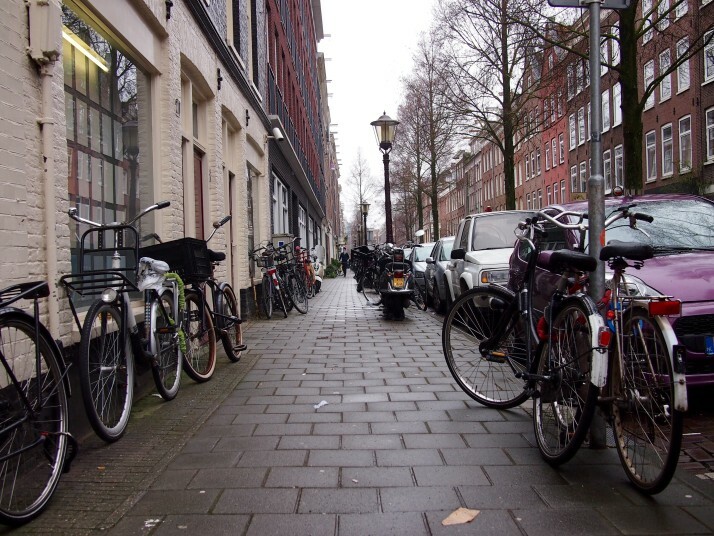 One of the first things we noticed when we arrived in Amsterdam was the bicycles. They’re everywhere. 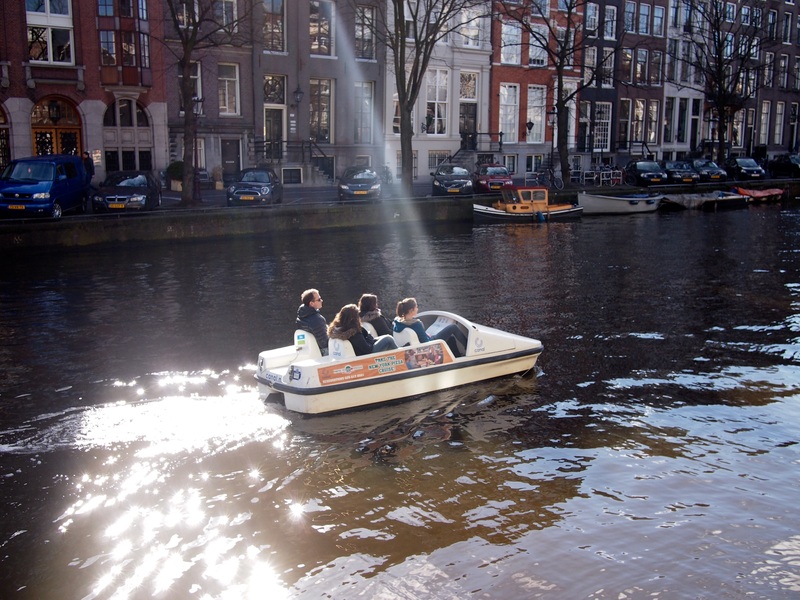 It makes sense, Amsterdam (and the Netherlands as a whole) is completely flat so there are no pesky hills to worry about, and as the city’s streets are arranged along canals and were built long before automobiles were invented the bicycle is the fastest way to get around. 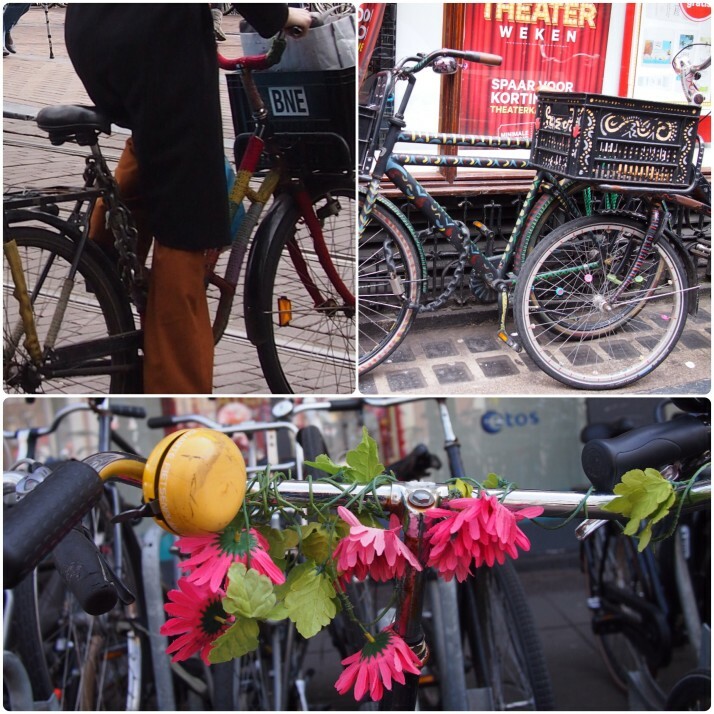 If everyone drove the place would be completely gridlocked, but in fact there are more bikes than residents. 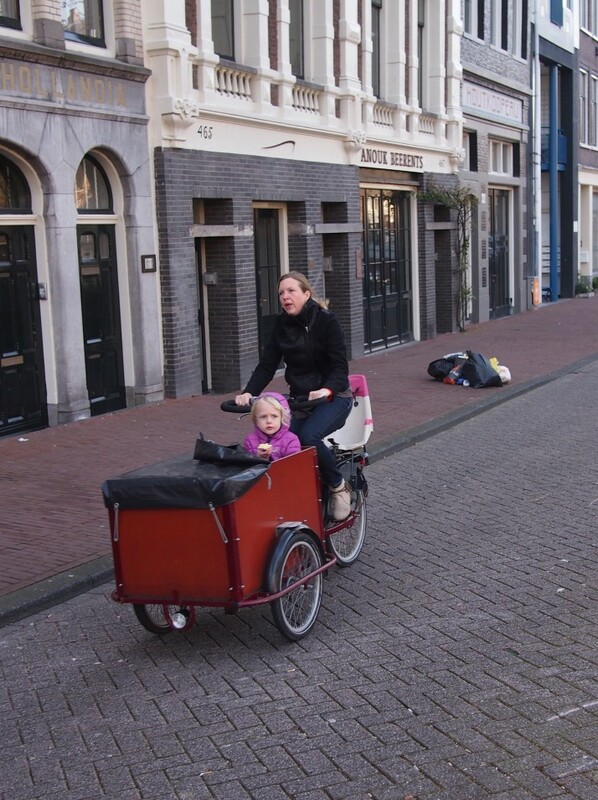 Having very young children doesn’t stop Amsterdammers from riding their bikes. These bicycles with boxes at the front are called bakfiets, or cargo bikes. When the kids are a bit older they can be strapped into a seat at the back of the box. 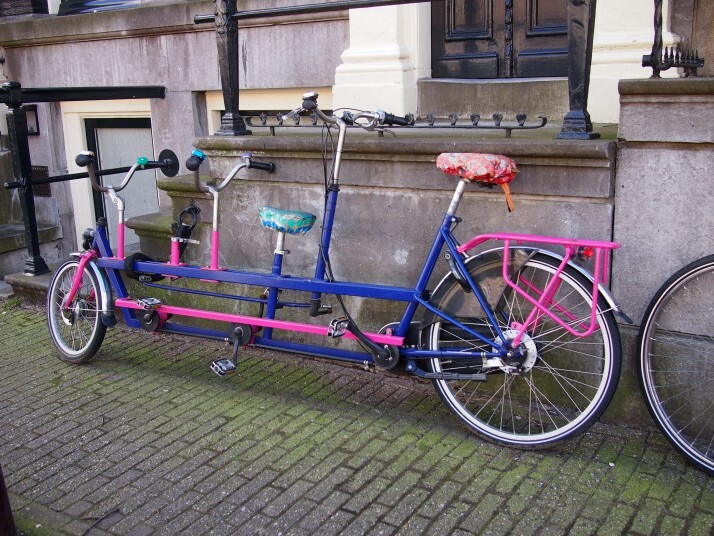 And older still, you might get a tandem for three! 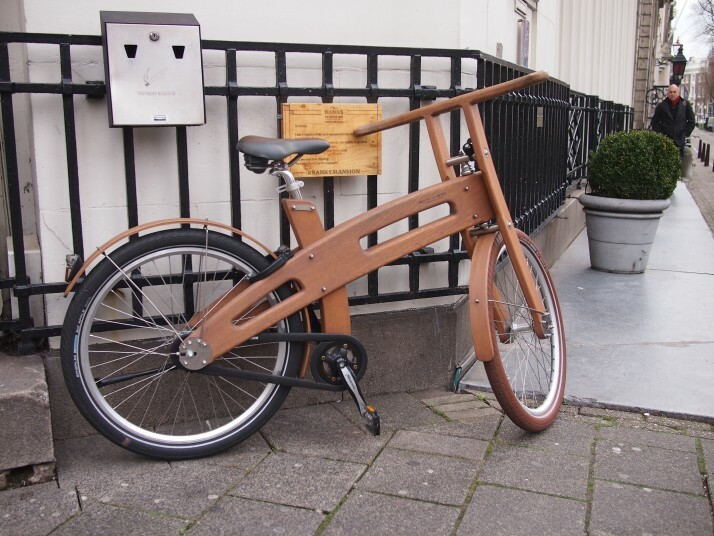 This entry was posted in Places and tagged Amsterdam, Bicycle, Netherlands on April 11, 2015 by Julie. 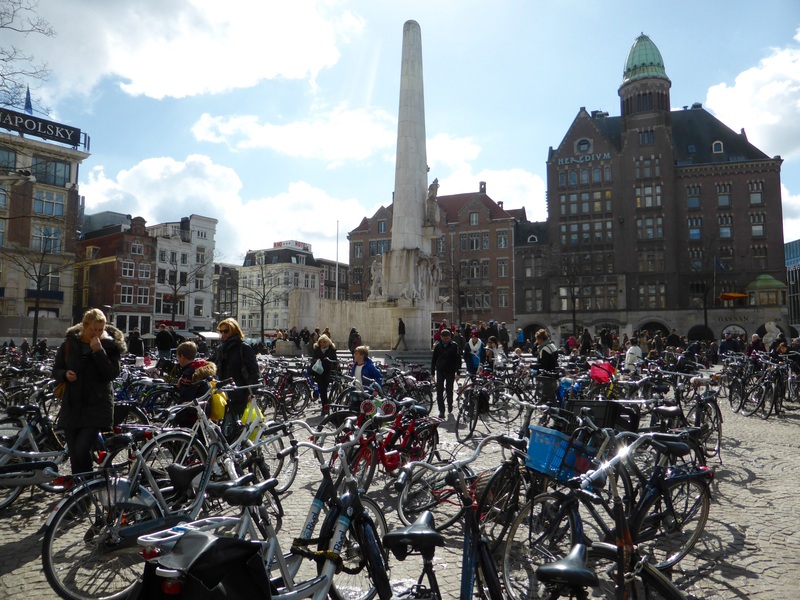 I remember leaving Amsterdam’s train station and was greeted with a sea of bikes parked hundreds and hundreds of them. Quite a few had been there for a number of years abandoned. 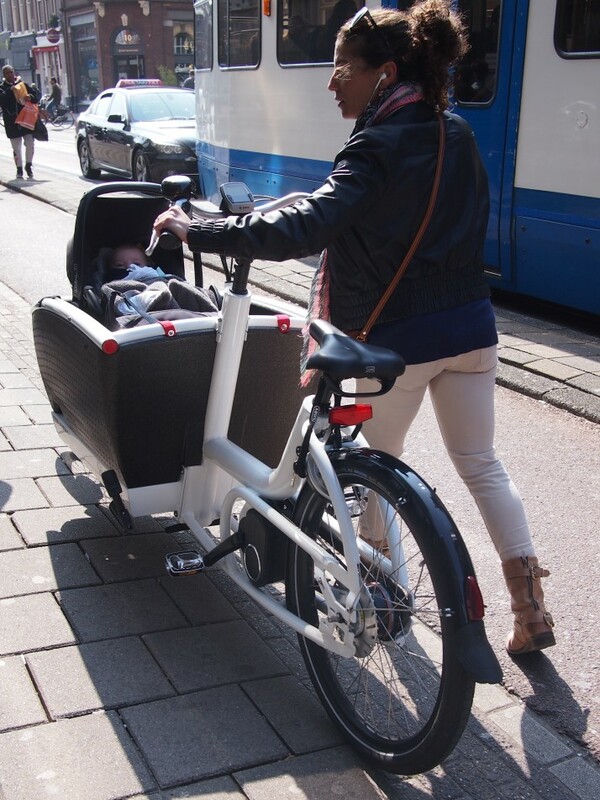 Also remember the bikes with a small platform to wheel a wheelchair on the front like the boxes for the children. We haven’t seen one of those, we’ll have to keep an eye out. Yes, there are quite a few abandoned bikes, or bits of them, around the streets.